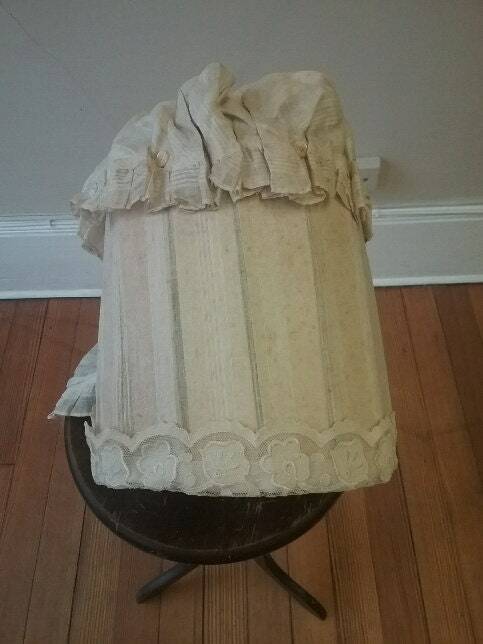 1850's, 8 wide, 10deep, wood and striped muslin bonnet. 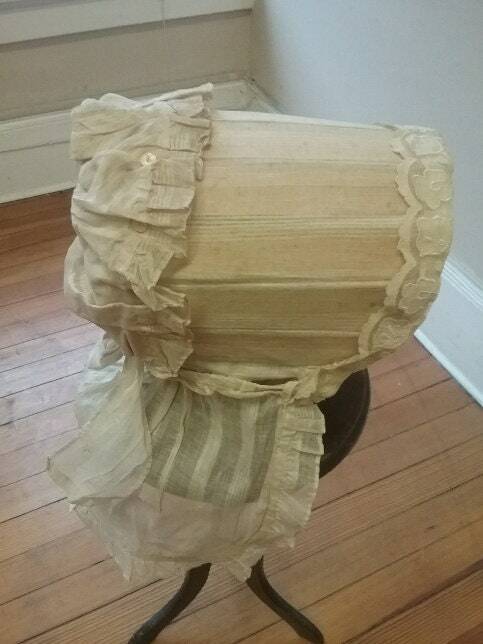 1850's, 8" wide, 10"deep, wood and striped muslin bonnet. 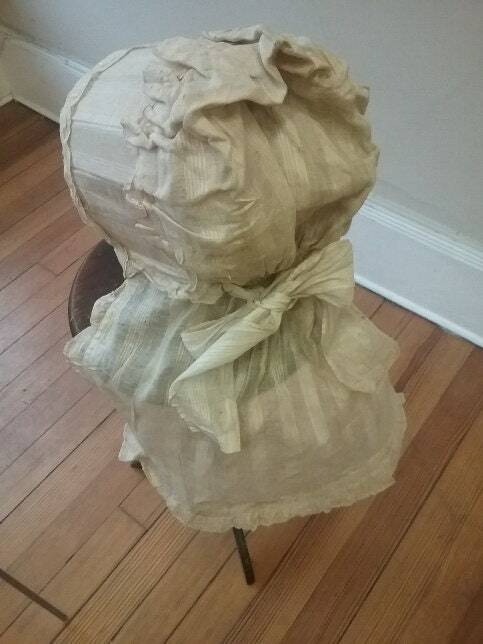 1850's, 8" wide, 10"deep, wood and striped muslin bonnet. Ten wooden slates of the brim of the bonnet is covered in ecru stripped muslin, with an attached buttoned crown and shoulder cover. The bottom of shoulder cover has a narrow ruffle of same material. Condition: very good, strong material no dry rot. Mending on shoulder cover, tiny pin holes on bottom ruffle.